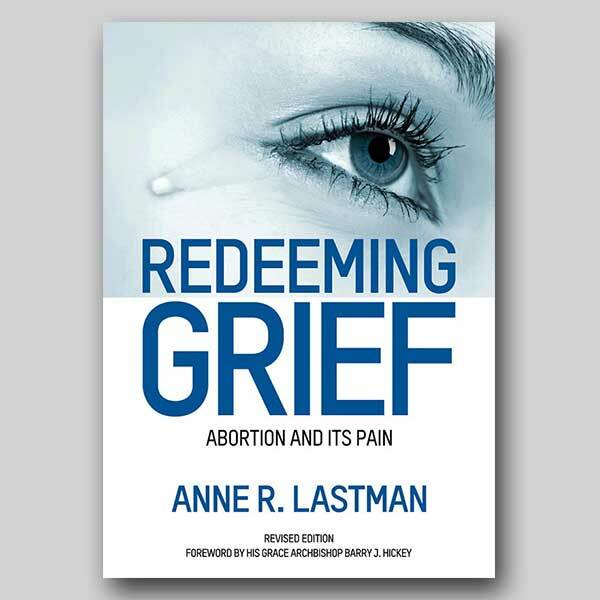 In a moment of reverie, and as nearly always thinking about my work, I began to muse about the pro-abortion protesters who are always to be found whenever there are pro-lifers praying or offering help to women so that they do not abort the child in their womb. Why the noise of the clanging and banging of pots and lids (“cymbals clanging”, 1 Cor 13:1) and the shouting down of others who have a different view from their own? Why is it important to bar pro-lifers from offering help to save a child’s life? As I pondered I remembered Dr Elizabeth Kübler-Ross’s work and her stages of grief; and while there is debate over the sequence that Kübler-Ross suggests no one doubts that these stages of grief must be negotiated if homeostasis [internal equilibrium] is to be achieved. The first stage is denial, and this we know is a very strong factor following an abortion decision then there are grief and trauma. This is the stage to which all women with an unplanned pregnancy immediately retreat: “It’s not a baby”, “It’s tissue” or “It’s a product of conception”. Here it’s possible to see that for those who do not have support, solid personal foundations, a firm belief in the humanity of the child, then for them it’s easy to deny that that which has been conceived in her womb is her son or daughter. Stage two of Dr Kübler-Ross’s hierarchy of five stages is anger. Anger can be manifested in many forms: against self, significant others, helping professionals (who suggested or referred for abortion), God, parents, boyfriends, husband, other friends. But there is anger also at those at an abortion facility who are offering help to those going in, anger that the help offered might be accepted by the woman and thus save the life of her child and herself from a persistent pain. There is anger perhaps that no one was available to help her in her time of need so that she slowly hardened her heart. This is perhaps the strongest anger. If one could ask one of those noise-makers in a different setting, “How does it really feel for you?” or “It must still be painful?”, I imagine this would elicit surprising responses, especially that there might have been an abortion experience in their own lives, an experience which they, the noise-makers, want affirmed both in law and practice. Such experiences, which, during the 2008 Parliamentary debate making abortion law in the State of Victoria the most atrocious law outside of China, were admitted to in emotional outbursts and confessions by female politicians, helped win the abortion on demand case. If those female politicians were as pained as they implied and used crocodile tears to persuade their colleagues into voting for the new laws for abortion to full term, and even refusing any amendments including pain relief for the infant during its dying, why then desire more women to have abortions? Why make it easier for women to have abortions? Why the need to enshrine into law a procedure which ensures a lifetime of regret-filled memories. Why such emotive speeches, except to achieve a deceitful outcome. Those female politicians using emotive language and self-disclosure ensured the pity and compassion of some of their parliamentary colleagues and those tears, which we later saw as false, with the drinking of champagne, grins on faces and comments like “We have worked for this for a long time,” changed the fate of the pre-born up to term. Imagine admitting to having worked for a long time to be able to legally terminate pre-born babies and having used all manner of wiles to achieve this. “Misery loves company” is true and has a huge cohort. Shame and stigma are cited as reasons for abortion law changes and overcoming the perceived stigma and shame is the aim of those who want others to have easy access to abortion. But the anger of those who had fought bitterly to have pre-born babies easily killed has more behind it. I would say there is unresolved pain. So behind the noisy clanging and clashing of cymbals there are individuals who have unresolved grief, perhaps over their own abortions or the experiences of others loved by them. Hence, in order to drown out the pain, noise becomes, for a time, the means to achieve this. Of course there is also wickedness and evil in the world, and we cannot forget that, but as long as human beings remain alive they are not irredeemable. However, a combination of anger with at times the reality of evil, and this enshrined in law which is then seen as good, makes for a condition of confused pain in a confused society.